Home #WOW Tower Fortress – This game will blow you away! 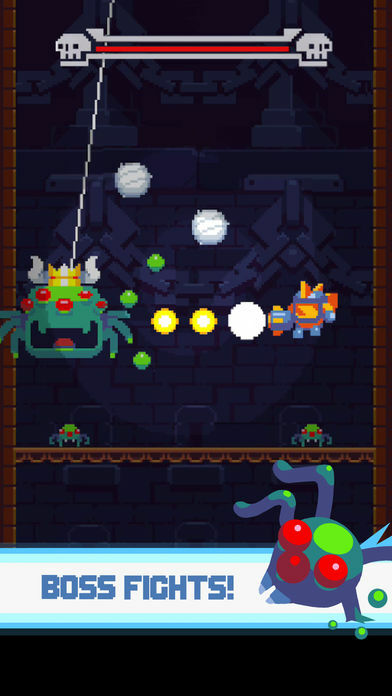 Tower Fortress – This game will blow you away! 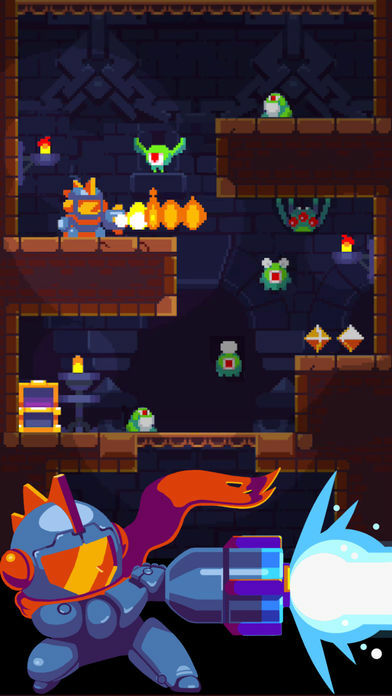 Tower Fortress by Nitrome and Keybol Games is probably best described as Nitrome’s take on the classic Mega Man. Set in an enemy-filled tower of doom(! ), your mission in this game is to fight off enemies as you gradually make your way up the tower where the final boss battle awaits you! For anyone who has played Drop Wizard Tower (by Nitrome and Neutronized) you will probably notice the similarity rather quickly. 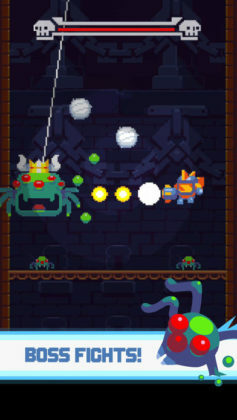 Played using a set of 4 on-screen controls which allow you to “Jump”, “Shoot” and move “Left” and “Right”, Tower Fortress nails it when it comes to intuitive on-screen controls! Thanks to the size and positioning of each button, playing Tower Fortress is a joy, and we can’t actually remember making any accidental button presses, which is rare for a game that relies solely on on-screen buttons for player input. Once you’ve (instantly) gotten used to the size and positioning of each button, it is time for you to learn some tricks. Wall climbing, Sonic the Hedgehog style Spin Jumping, and mid-air shooting are just a few of the cool maneuvers you will be required to perform as you blast your way past countless enemies! 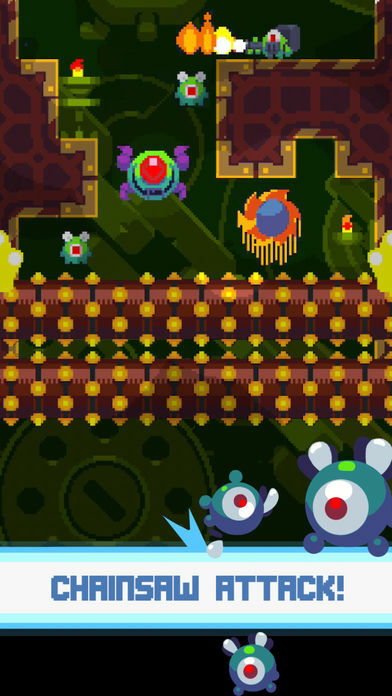 As you blast your way through each level, you will often destroy an enemy that drops a special “Key” you can use to unlock 3 extra portals at the end of the level you are on. Each portal essentially does the same thing, (i.e. Takes you to the next level), but adds a “Special Ability” to your player in the process. With brilliant graphics, a considerable number of ads that are annoying, (but can be skipped after 5 seconds, so deal with it! 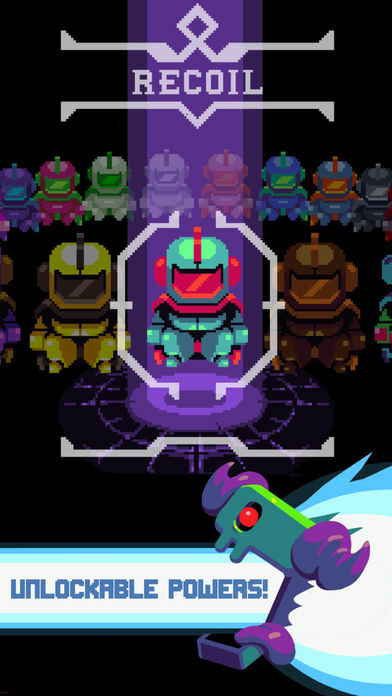 ), and far too many cool suits of armor for you to unlock! This game is fully loaded with functionality to addict vulnerable players and reviewers. 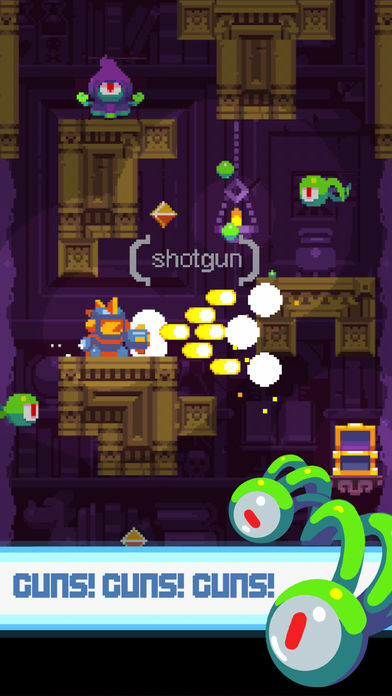 Tower Fortress is by far the most functional 2D platformer we have played this year. With excellent graphics and an amazing depth of functionality we have yet to fully explore, this is a game we can’t wait to fully complete!